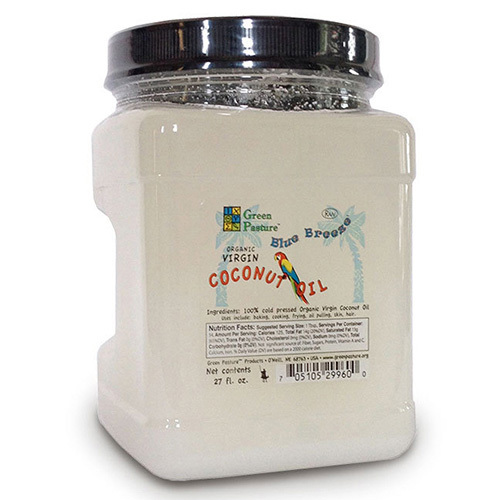 A high quality Philippine coconut oil brought to you from Green Pasture, who also supply our fermented fish liver oils and butter oil. Organic, Virgin Coconut Oil processed in an old-world, cold-pressed method using only choice, fresh coconuts and packaged in a unique small batch process. 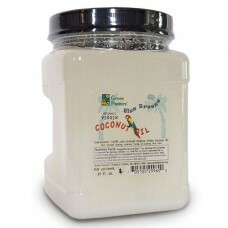 The QA procedure ensures a consistent, creamy textured, fresh, mild flavored coconut oil. We are proud to bring you this exceptional quality coconut oil and believe you won't find a better quality coconut oil anywhere. Considered by many discerning customers to be the world's best tasting coconut oil, it is also very high potency, so although dearer than other oils, you don't need to take as much.